Ramón Martinez is a militant atheist, successful lawyer, and conventional family man. But all of that changes when his privileged life disintegrates after cancer of the tongue deprives him of the source of his power and livelihood: speech. Jorge Comensal’s The Mutations is a comedy tracing the metastasis of Ramón’s cancer through his body and through the lives of his family members, colleagues, and doctors, dissecting the experience of illness and mapping the relationships both strengthened and frayed in its wake. Mateo and Paulina, his teenage children, struggle with the temptations of masturbation and binge-eating, respectively. Ramón’s melancholic oncologist is haunted by the memory of a young patient whom he was unable to save. His selfish pathologist believes Ramón’s tumor holds the key to a major scientific breakthrough. And then Elodia, Ramón’s pious maid, brings him a foul-mouthed parrot as a birthday gift, and this filthy bird becomes Ramón's companion, confidant, and unlikely double. Paying homage to forebears such as Sontag, Didion, Flaubert, and Tolstoy, and filled with a rough-hewn poetry of regret, rage, and, finally, resignation, The Mutations offers up a profound and funny cross section of modern Mexico, as well as a bold treatment of an unspeakable yet universal reality. Jorge Comensal was born in Mexico City in 1987. He was the recipient of scholarships from the Fundación para las Letras Mexicanas and the Fondo Nacional para la Cultura y las Artes, and has been published in such periodicals as Letras Libres, Este País, and VICE. 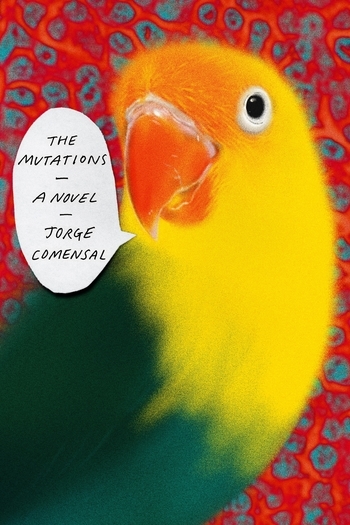 The Mutations is his first novel. Charlotte Whittle's translations and writing have appeared in The Literary Review, Guernica, BOMB, the Los Angeles Times, and elsewhere. Her translation of Norah Lange's People in the Room was published in 2018. She lives in New York and is an editor at Cardboard House Press.